15 Best Johnny Depp Movies: From Edward Scissorhands to Donnie Brasco! Well, audiences kind of ignored Johnny Depp in Transcendence. In fact, Depp has technically not had a critically well received movie or box office hit in a few years. But, there is still no arguing that Depp is one of the biggest stars in the world, if not the biggest! With over 70 credits under his belt since he first descended on Hollywood, we all know that they all can't be instant classics. But, many are beyond outstanding. Let's go back over Depp's film work and remind ourselves why he is one of our favorite actors of all time. We pick 15 of the best movies in Depp's lauded and wildly popular career. Want a clue as to what made the list? Watch Pirates of the Caribbean: The Curse of the Black Pearl online or watch Donnie Brasco online and you immediately get an idea of what a supreme talent this man is and the vast variety of his work. And don't miss his cameo moments with these 21 Jump Street quotes. Seriously, try thinking about 21 Jump Street and NOT thinking about Johnny Depp! 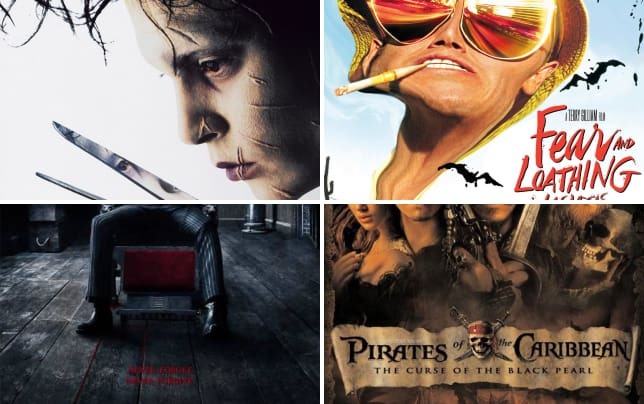 Click through our slideshow and see which 15 movies feature the most delicious Depp movies.